If you rent out or lease property to others, sooner or later you are very likely to be in situations where you have to evict a tenant for one reason or another, usually nonpayment of rent. It’s a matter of when, not if you will have to evict. This article will explain how to avoid eviction mistakes, so your rental property is making money as much of the time as possible. Evicting a tenant can be unpleasant, costly and time-consuming. But it’s worth it to spend the money on evictions so your property can start generating income again. After all, you want to make money on your rental property, not lose money, of course, that’s why it’s call an income property. If you hire a good eviction attorney, you can avoid the hassles of doing time-consuming eviction process altogether and get your rental unit back to being an income property and not an income losing property quickly. Filing an Eviction aka Unlawful Detainer is the only way to get your property back if someone stops paying rent, commits a nuisance on the property or other illegal activity such as selling drugs on premises, violates conditions of the lease or damages your property. In California, as in all states, state law sets out how an eviction will proceed. There are notices to be served, documents to be filed at the courthouse, collection of evidence, testimony in a trial if it comes to that. And it must all be done exactly according to California state law which are known as the Unlawful Detainer Statutes. If you don’t follow the law exactly as required, you may have to start the eviction process all over again and possibly even have to go back to court for an eviction trial. That means your property would be not be profitable for an even longer time. It pays to either do it right the first time yourself or be certain to get it right by letting a good lawyer handle the eviction. If you want to do it on your own, we will delineate some common mistakes landlords make their first time trying to evict a tenant on there on or in Pro Per. If you do everything according to law and avoid these mistakes you can get your bum of a tenant out and get a new, good tenant in. There are ways to get good tenants to minimize the number of evictions you have to do. We published a blog posting on how to keep your property profitable as much of the time as possible. 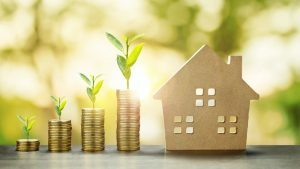 Read “Keys to Finding Good Tenants and Avoiding Bad Ones” to learn ways to make your property a source of steady income. You might be tempted to use coercion or intimidation to get a tenant out. You might want to try to make it too miserable for the tenant to live there instead of evicting using the legal method. We highly recommend against this. When a landlord tries to evict on his own, outside legal boundaries, it’s called self-help or self-directed eviction. Any eviction method you use outside the California statutes may come back to cause you a lot of trouble later. Cutting the utilities so the tenant doesn’t have hot water, gas or electricity. Also you cannot cut any service to the property, even cable tv or internet. 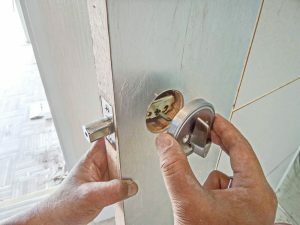 Changing the locks so the tenant’s keys don’t work, locking the tenants out of the rental unit. These types of tactics are all illegal and against the law and are bad eviction mistakes. As the landlord, you can also be arrested for some or all of these types of activities. Using these illegal or any other methods outside the law to force a tenant to vacate amount to criminal behavior. It’s a crime to force a tenant out unless you do it according to the state of California’s lawful eviction process. If you get them to move out by illegal methods, they can file a complaint with the authorities or file a lawsuit for damages against you. This is true even if the tenant was not paying the rent. You still have to follow the eviction laws even if the tenant is not paying you. It is possible that illegal self-help eviction methods could cause conflict and even escalate into an ugly situation that could get violent. It has happened in U.S. history that eviction conflicts have resulted in deaths of tenants and landlords. Do not take the law into your own hands and risk your life or risk hurting a tenant, which could result in prison time. That said, a judge will almost certainly rule in your favor in an eviction process if you give sufficient proof that the tenant is not paying or is violating the lease in other ways. California is a tenant-friendly state, but the lease agreement the tenant signed affords you, the landlord, certain protections too. When you do an eviction by the legal method, the court will order the sheriff to lockout the tenant from the property and put you back in possession of the property. If you can get a judge to issue an order of eviction, you are following the law protected from claims of legal or even physical harm from happening to you or the tenant. The first thing you will need to do write up and serve an Eviction Notice, this is usually a Notice to Pay Rent or Quit and serve it on the tenant(s). If you fail to give proper notice that you are seeking to evict a tenant, your case can’t go forward. Sometimes serving a Notice to Quit is for reasons other than the tenant is not paying the rent. Such a notice can be filed if the tenant “committed waste,” or damaged the rental property; was a nuisance or substantially interfered with other tenants right to quiet enjoyment; or used the property to sell drugs or for other illegal activities. If you don’t give the tenants the right kind of notice to quit, your entire eviction process will be in legal jeopardy. You would have to start the process all over again if you don’t do the notice the right way the first time. A judge could rule against you if you don’t serve the proper notice and give the tenant the full three days to pay the rent. If you are issuing the notice because you suspect the tenant is doing something illegal or damaging the property, of course the only remedy is to evict the tenant. The day for trial will come when you have to appear in court for the Unlawful Detainer Lawsuit by which you will be asking the Judge for a Judgment and a Writ of Possession to evict a tenant. The trial will move quickly. Be prepared with all your documents and evidence. This will always include the Notice to Quit and the Rental Agreement. It may also include correspondence, eMails, text messages, etc. between you and the tenant. The Trial Date is your date and time to have your trial. You will need to have all of your documents and evidence in order and ready. Having insufficient evidence is one of the big mistakes landlords make when pursuing evictions against bad tenants. A landlord can go to court and make verbal or oral claims about non-payment of rent, for example, but without bank statements the judge or jury may not be convinced. Keep in mind, it’s the Plaintiff’s burden to prove their case. The landlord is the Plaintiff. Do yourself a favor and have all the records you will need, including bank statements and tenant ledgers with you. Your case will be considered weak unless you provide the court with good evidence. Also, if you are seeking to evict a tenant for physical damage to the rental unit, back up your claims with evidence, including photographs, videos, and bills from any contractors you hired to fix the damage. Your testimony about the damage is important, but it may be considered weak and insufficient without visual or documentary proof too. If you come to court without the right paperwork or without convincing evidence of the right kind, a judge could rule against you. This will seem unfair if your charges of non-payment of rent or of property damage are true. Instead of getting the tenant out within a relatively short time, you would have to come back and start the process all over again. It can drag on for a long time. 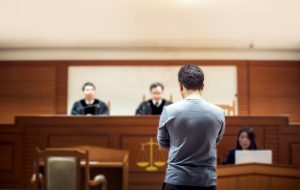 When the judge and/or jury hear the unlawful detainer case at trial, of course both sides will present their case and evidence. It can be costly if the landlord loses the lawsuit because the judge could require him to pay the tenant’s attorney’s fees and court costs such as filing fees. 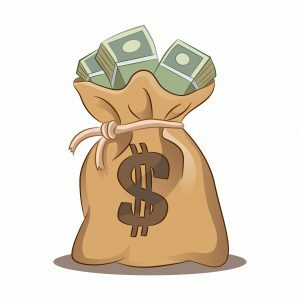 Normally, the prevailing party will be awarded attorney’s fees if there is a lease agreement containing an attorney’s fee clause. Then, if you lose, you also have to keep this tenant who may not have been paying rent on time or not at all and/or start the entire eviction process all over again. That’s right. Unless you prove to a judge or jury with all the proper evidence that the tenant hasn’t been paying, the judge could allow a tenant who isn’t paying the rent to remain on the property. It sounds unfair, but it’s true. And it’s a major reason why landlords do themselves a favor by having a law firm like Express Evictions help them with the paper work and Unlawful Detainer process. of doing the paperwork, gathering the evidence and appearing in court on the landlord’s behalf. Our Lawyers are experts and do it right the first time to make the eviction happen as soon as possible. If you let Express Evictions handle the case, we get tenants to vacate property 29 days on average after the service of the summons in uncontested evictions in most jurisdictions within the State of California. The eviction process is so complicated and time-consuming, many landlords use it as a last resort. We understand this at Express Evictions. The hassles and headaches of evicting a tenant the court process can be daunting. But you definitely want your property back and need it to generate a steady income, and one way to do this is to evict non-paying tenants as quickly as possible. Express Evictions is a law firm whose main focus is to get bad tenants evicted in a hurry. We’ve handled tens of thousands of cases and we are very good at it. Express Evictions does evictions for a very low competitive fee that saves landlords the complicated and time-consuming process of writing up notices, serving them, filing the Unlawful Detainer in court and having the tenants served with the summons and complaint to appear in court. If your tenant contests the eviction, our attorneys will go to court with you and represent you in front of the judge. For questions about landlord-tenant law or for help with an eviction, whether in a residential or commercial property, contact us today.